Get, Keep and Convert more Leads! Let’s start with your website! Today it should already be Responsive in Design, Robust and Relative to the business you want to accomplish and have several options to create leads for your agents. Some of these sources will be a Search for Properties, Contact Us or Ask a Question tab. Others may include forms to give an Property Evaluation, Search for Career Options along with many other boxes to tick for more information about a particular real estate related topic. For this and the many other live and online activities that will produce leads for future business there must be a Lead Management System in place to incubate, maturate and convert leads into closed business. Lead management is a set of methodologies, systems, and practices designed to generate new potential business clientele, generally operated through a variety of marketing campaigns or programs. Lead management is in many cases a precursor to sales management and Customer Relationship Management. Specify your lead algorithms. Do you have an E-TEAM? Who will get leads by market area, price points, specializations, relocation’s, other sources such as Realtor.com or a national web site, by time and days received, etc.? What are your business rules? What happens to the lead if it is ignored? How much time does an agent have to respond to a lead? There are many things to consider when setting up your Lead Management System. The result is a marketing and sales process that is much more defined, efficient and successful. Lead routing and prospect assignment are easily automated in the Terabitz® CRM Software system package. What is a lead process? Lead management bridges the gap between marketing and sales. 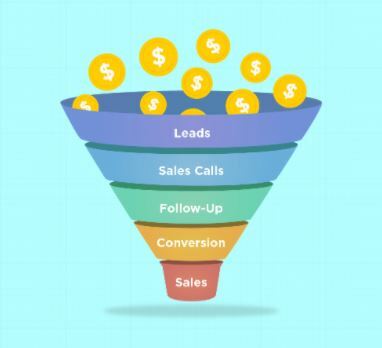 It’s a customer acquisition process which identifies potential buyers and/or sellers (leads), educates them, engages with them, and when the leads are considered qualified, get passed from marketing to sales. What is lead conversion in the Terabitz® CRM,? Managing clients can be difficult. Terabitz’s CRM not only helps you monitor and manage your clients and their information, but you can also use the automated marketing system to help stay in touch with them. The CRM can be customized with how an agent works with their clients, so they can maintain their methods for customer management and the Broker can also propose plans and tracking methods for an agent to use. The bonus is that all activity coming in from either the Broker or Agents websites is automated, meaning no one gets lost in a paper shuffle. Terabitz has also made it easy to bring in clients from other software programs so they can all be managed from one CRM. Does this peak your interest in how to get, keep and convert more leads? Please stay tuned to our Blog here as well!